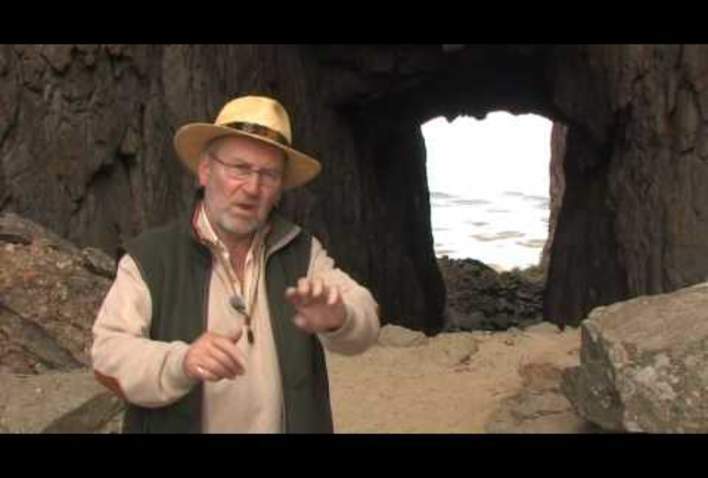 This hole, which is 160 metres long, 35 metres high, and 20 metres wide, was created during the Ice Age. Ice and water laboriously eroded away at the loose rock sediment whereas the harder rock types of the upper part of the mountain withstood these forces. Parking/access: Parking at Torghatten Camping – separate, maintained parking before you arrive at the parking area. Follow the signs from Brønnøysund city centre - 12 km out to "Torget". Level of difficulty/map: Basic walk, but steep incline. No map required. 15-20 minutes up. There are numerous ways to experience Torghatten; here are some suggestions. An Englishman, Chris Sandford, visited Kystriksveien on his old motorbike. This TV program was shown on national TV in Norway at Christmas 2009. The bicycle tour out to Torghatten is highly recommended. It is a basic trip (approx. 15 km each way, i.e. about 2,5 total hours of biking), and goes through a varied and beautiful landscape. Allow about 3-4 hours total, including a walk up to the hole. 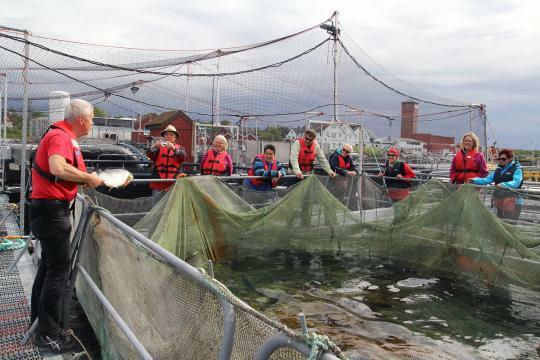 Norwegian Aquaculture Centre offers guided tours all year round. On your way out to Torghatten, you pass by Norwegian Aquaculture Centre. We recommend stopping here and taking a guided tour of a modern seafood farming facility. Daily tours at scheduled times. Well suited for families. Bicycle Rentals: Bicycle rentals are available at the Tourist Office in Brønnøysund. Visitors arriving by air can choose to have their rental bikes delivered to the airport, as this an all other options are selected when booking your bicycle rental. Torghatten Camping and Strand Restaurant is located at the foot of Torghatten Mountain. The Camping facility offers cabins with ready-made beds (including cleaning), and can be booked with breakfast. Go to booking. As the distance to Brønnøysund is only 12 kilometres, this is also a good alternative. See all lodging options in the Brønnøysund area.